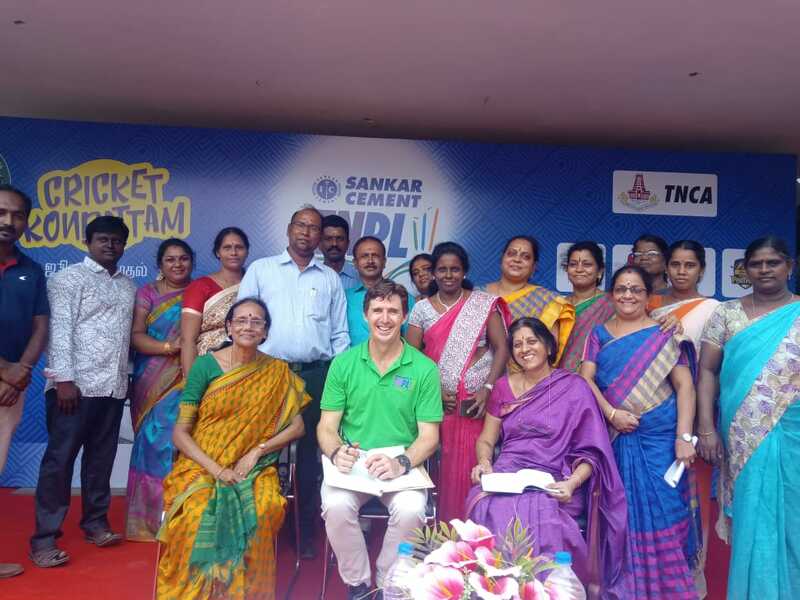 Australian Cricket Player Brad Hogg visits us. 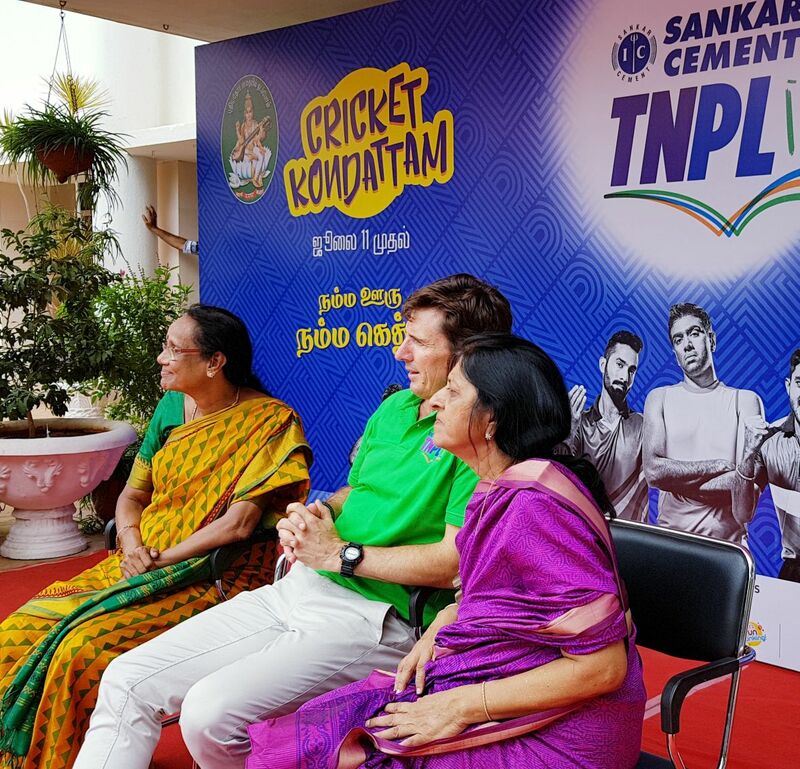 Brad Hogg, the 47 year old Mercurial Chinaman bowler (left arm wrist off spin), who has got 320 wickets across all formats for Australia, visited our school on 10th of July as part of promoting Tamil Nadu Premier League (TNPL): he was to be commentator for the first time for TNPL the next day. 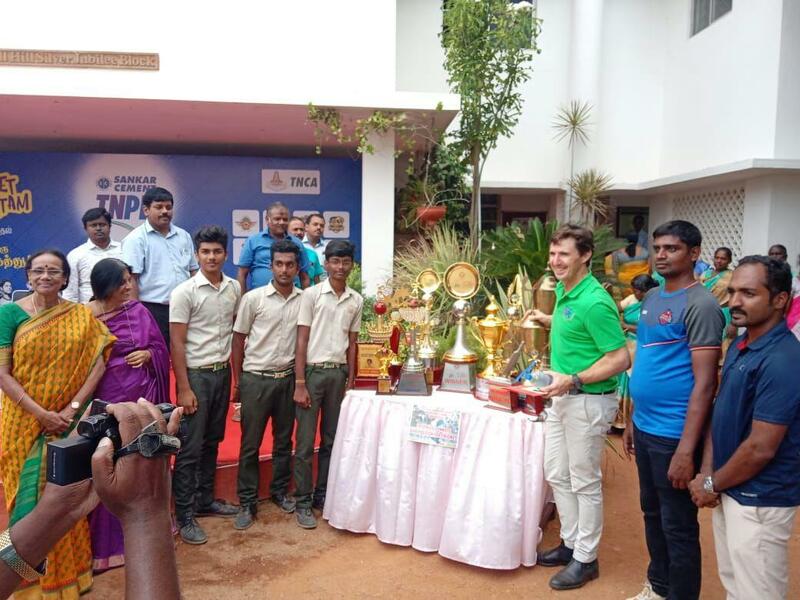 Our students were excited to receive an International Cricket player and gave him a warm welcome by vibrantly playing ‘Parai’ one of the oldest drums of India much featured in South Indian Culture. 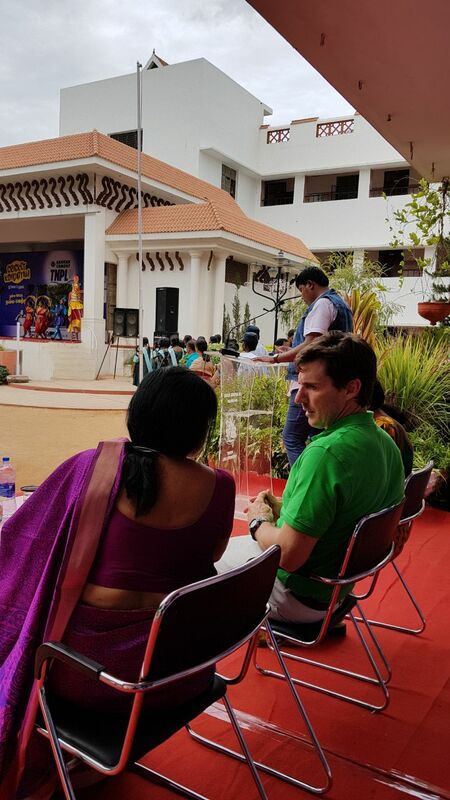 After a cheerful welcome speech by our Principal Mrs.Usha Raman, Mr.Hogg gave an inspirational address to the students. Some boys performed Silambam the martial art of Tamilnadu. He was carried away by their performance and finished up on the ground trying to perform Silamabam! In the interactive session which followed our students asked many questions which he answered very interestingly and fully. 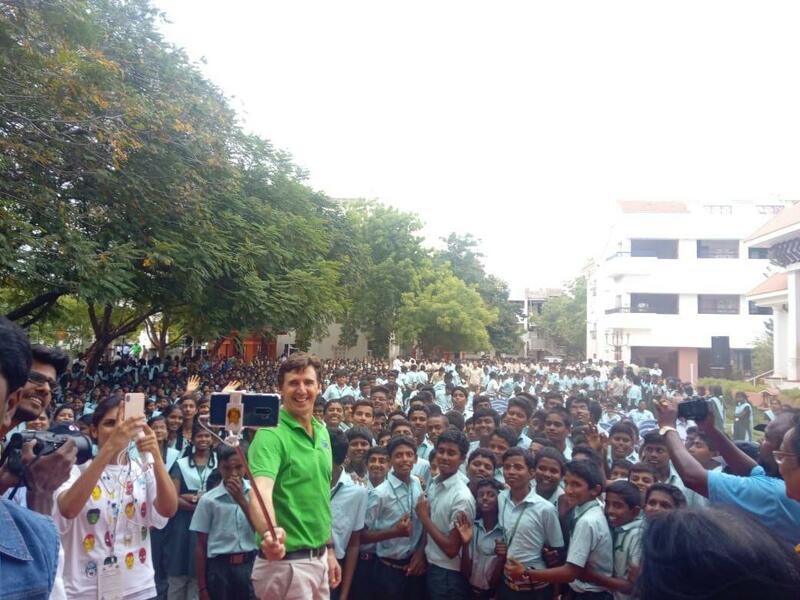 When one of the students asked him ‘From whom you would like to get an autograph’?, he replied ‘Tom Cruise’! adding he found that an interesting question. 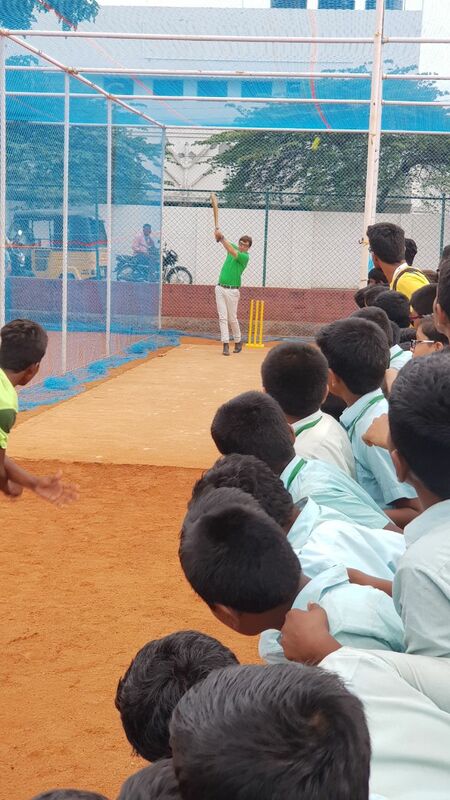 After a dance performance depicting our Tamil Culture with Kavadi, Mayillattam and Poikaal Kuthirai Dance which he appreciated very much and was keen to be photographed with the dancers we moved to our school cricket nets where he bowled at a few batsmen and encouraged our budding cricketers by signing autographs and giving them a few tips. 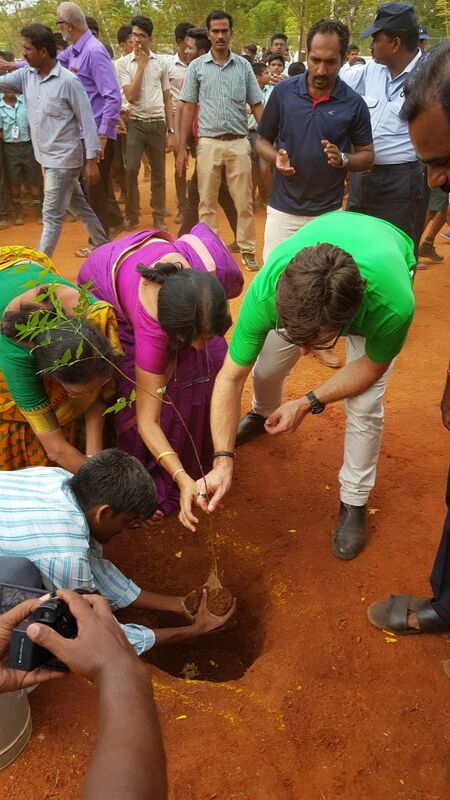 It was a memorable visit.